Apricots are just coming into season here in Northern California. Eaten fresh, they can be hit or miss — all too often, the fruit is sour or mealy in texture. Cooking the fruit, however, transforms even the most mediocre apricots into a delicious treat. The Anova Precision Cooker makes the process a snap: Simply seal pitted apricot halves with a bit of butter, warm spices and salt, and you're only an hour away from a savory dessert or snack. 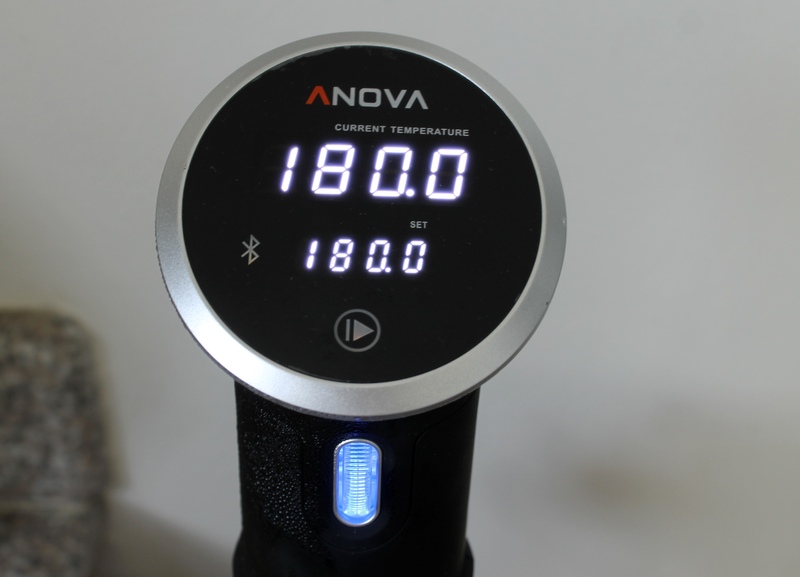 Set the Anova Sous Vide Precision Cooker to 180ºF (82.2ºC). 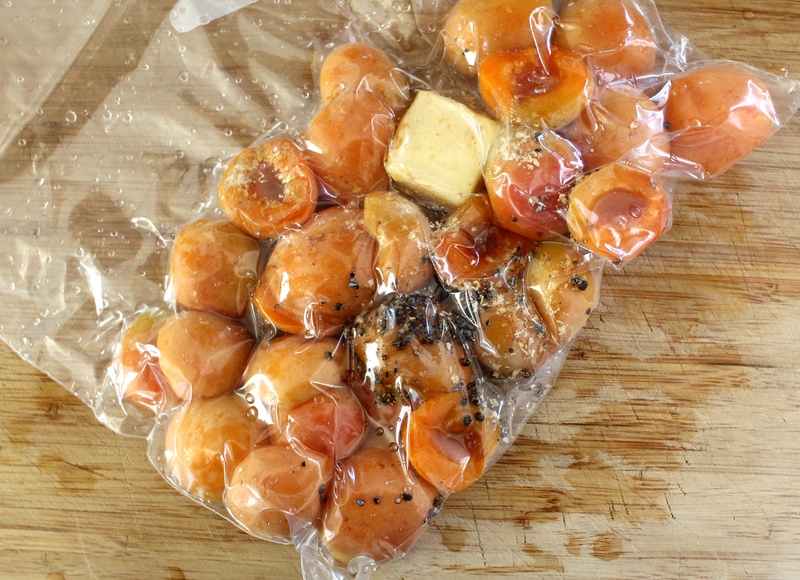 Combine the apricots, butter, cardamom, ginger, and salt in a large zipper lock or vacuum seal bag. Seal the bag using the water immersion technique or a vacuum sealer on the moist setting. Place the bag in the water bath and set the timer for 1 hour. When the timer goes off, remove the bag from the water bath. 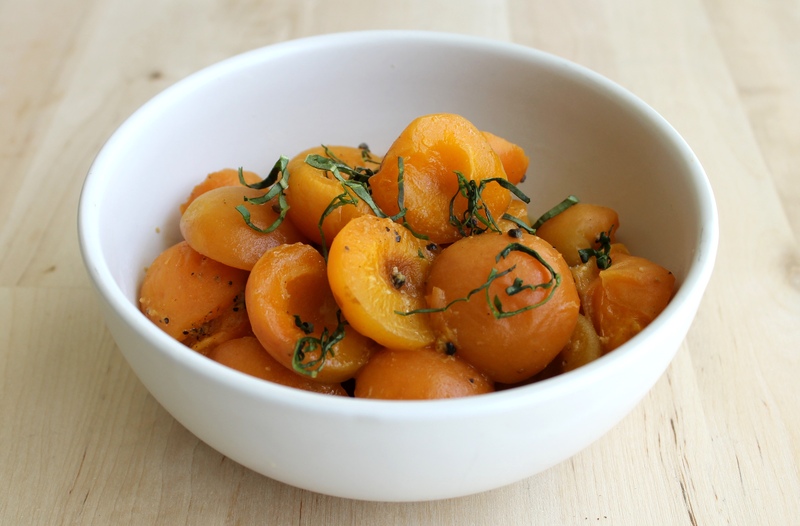 Transfer the apricots and their juices to a serving bowl. Garnish with basil. Serve warm.